Any idea you could ever have will be met with resistance and endless people telling you why you’re doomed to failure. Even some of the most successful ideas of all time were met with criticism and ridicule at some point. These 4 improbable success stories will show you that no matter how unlikely success may seem, you can defy the odds and achieve things beyond your wildest dreams. In 1993 Larry Leith was a former general manager of a ski store, with a vintage car restoration shop in Arizona and a lack of passion for his work. 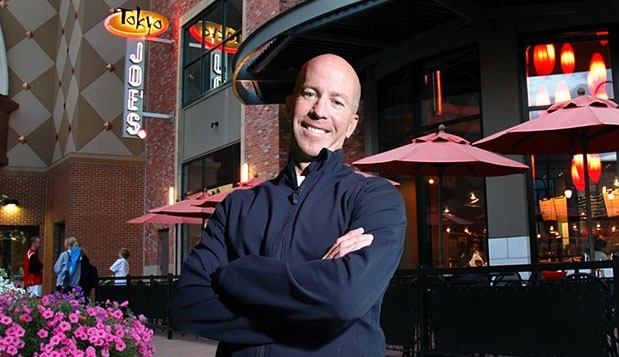 Today, his Tokyo Joe’s fast-casual restaurant chain has 21 outlets and a yearly revenue of around $27 million. Leith opened his first restaurant in Denver selling a product which, at the time, had very little mainstream appeal; Japanese food. He was living off the sale of his adored 1973 BMW and on the day the first Tokyo Joe’s opened on March 13th 1996, he recalls he was “totally broke”. With no money, no restaurant experience and no knowledge of Japanese cooking, the odds were stacked against Leith. But luckily a lack of passion wasn’t an issue this time, and he taught himself the art of Japanese cooking by reading every available cookbook he could find cover to cover as well as taking a voluntary apprenticeship for 3 months in a Japanese restaurant. On opening day, his smart promotional technique of giving away over 800 free meals worked like a charm and saw reputation grow faster than he could have imagined. Leith is now the proud owner of a hugely successful restaurant chain which has been made a multimillionaire in the process. Brit Duncan Bannatyne left school at 16 to join the Royal Navy, before getting thrown out for throwing his commanding officer overboard. He served 9 months in military prison, and upon leaving found it impossible to find a job, what with a criminal record and no education or qualifications. He realized that his skill set was suitable for one job and one job only: becoming an entrepreneur. He was 30 years old, had no money, no bank account and knew the only way he could fund starting his own business was to sell the only asset he had, his car. Today, Bannatyne has a net worth of £110 million and has a portfolio consisting of Health clubs, Spas, Casinos and Care Homes. His very first move in business was to purchase a single Ice Cream truck. He started selling ice cream in his local area, and soon after bought his competitors trucks and started to grow his Ice Cream business in Glasgow until he sold it for £28,000. 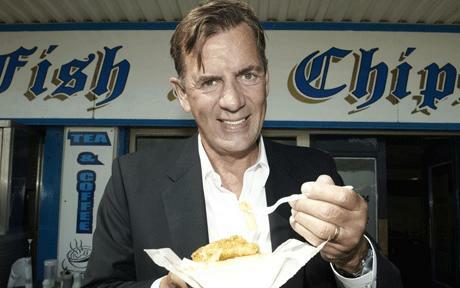 He used that money to found a care home business which he later sold for £26 million, and his chain of Health clubs called Bannatyne’s is the now the UK’s largest independent chain of health clubs. 3. No experience? Not a problem for this brave entrepreneur and her partner! Liane Weintraub was 25, married, and in USC graduate school on her way towards a career in print journalism. After years of extensive reporting on the dangers of what she called the country’s “tainted food supply” she was wishing she could be part of the solution and not just part of the story-telling process. Weintraub and her friend Shannon Swanson wanted to make a difference but didn’t have any experience in the food industry and had little money. Despite the improbability that they could actually make any impact on such a huge multibillion dollar industry, they decided to dive in at the deep end and really go for it. With only passion as their main ingredient for success, they started an organic food snacks business named Tasty Brand. The risk paid off. Tasty Brand is now selling products domestically and internationally and made more than $10 million through sales last year. Most enthusiastic teenagers with a passion for something aren’t necessarily able to build a business around that passion which brings in $21 million annually, but as a teenager with no qualifications or business knowledge, Chris Zane ignored the improbable odds stacked against him and did exactly that. Zane’s fascination with bikes started when he was 12 years old as he worked for his mother and father repairing bicycles in their Connecticut garage. At 16 he persuaded his Granddad to lend him the money to be able to buy a failing bike store. Whilst Zane was still in school, his Mom took care of the store in the mornings and in his first ever year, Zane’s Cycles took over $50,000 in sales. Now, 30 years later, the company has two successful stores and also fills large orders for corporate reward programs, seeing around $21 million in turnover and annually growing at around 24%. Not bad going for a kid with a big dream. Written with love by the writers at Fueled, London designers of polished mobile apps.